Back Office Pro is proud to offer an exclusive property management service designed to make property managers more profitable while freeing-up time for high-priority tasks. How time-consuming and costly are your "back office" property management tasks? Back Office Pro can save you both time and money when you outsource your back office operations to our experienced team. Back Office Pro currently handles 1,000 properties and 5,000 monthly calls — our expert team has more than a decade of property management and back office management experience. We help our property manager partners by eliminating many of the stressful and time-consuming tasks from their daily routine. What will you do with more time? Many of our property management clients use the added time to improve business development — adding more properties to their management portfolio. As soon as you are ready to get started, the Back Office Pro team will complete an in-depth analysis of your unique business process. We will help you wherever you need it most — adapting our back office property management services to your needs. 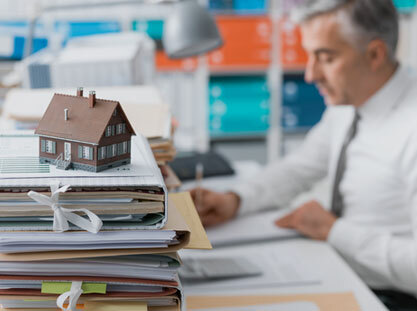 Assistance in Obtaining Tenants Back Office Pro provides wide-ranging help in this vital area, extending from property inspections to background verification and property listings. Managing Customer Service We serve as a liaison with key parties such as prospective buyers and tenants, current tenants, maintenance companies and property owners. Back Office Pro resolves problems and inquiries by coordinating all calls. We keep tenant satisfaction levels high at all times. Vendor Coordination Back Office Pro can source, select and supervise vendors for needed maintenance on a timely but cost-effective basis. Help with Documentation We can collect rents as well as coordinate all documentation including rental agreements and legal processes. Property management is often a delicate juggling act — finding good tenants without ignoring time-consuming (but important) activities like repair and maintenance. Achieving excellent customer service is frequently limited by the lack of time as well as talent shortages: Who can help you in a way that solves the problem instead of making it worse? What is the practical solution to this common property management dilemma? With the availability of Back Office Pro's exclusive services, the cost-effective and timely answer is to outsource your back office tasks to our expert team. Satisfied tenants are three times more likely than unsatisfied tenants to renew a lease. 79 percent of high income tenants reported that they are especially likely to be impacted permanently by a bad customer service experience. Talent shortages had at least a medium or high impact on meeting client needs in 56 percent of customer service situations. Only 32 percent of tenants stated that their landlord "listens to them and acts upon their views." You should think of your tenants' perspective when considering whether outsourcing your back office tasks to Back Office Pro will make a critical difference. For example, 75 percent of tenants think that a phone call is the best way to get a quick response, and 53 percent are irritated if they can't speak to a "real person" when they make that call. Will your tenants always reach a real person when they are trying to call you? With Back Office Pro on the job, the answer is yes! Three of the core areas of strategic focus that often lead to outsourcing are accessing strategic talent (70 percent), gaining access to better technology (62 percent) and improving analytical capabilities (also 62 percent). With Back Office Pro, you can achieve all three benefits. But the most important way that Back Office Pro can make a difference in your property management business is likely to be by improving the timeliness and quality of customer service. Back Office Pro performs back office management duties throughout the world — regardless of where your properties are located, we can help you lighten your property management back office load. Back Office Pro is literally ready to start working whenever you give us the green light. Without the need to hire any new employees, you can hire us to reduce property management stress and create more time for new business development. When would you like our back office team to start?